CAD Oklahoma Stone Slinger service is a material placement service serving Oklahoma, Texas, Arkansas, Alabama, Kansas, Missouri, Mississippi, and have preformed jobs in Montana and Idaho. 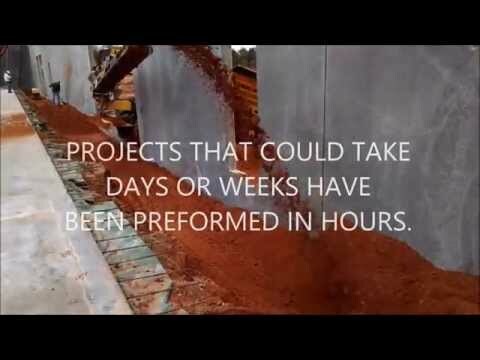 We cut the time it takes to prep slab for concrete in half or more. We can sling topsoil, sand, compost, mulch, bark, gravel, crushed rock, round rock, screened material up to 6 inches. Our slinger can be loaded on site with a skid steer, backhoe, front end loader or excavator. We can throw material up to 140 feet and can place in excess of 200 tons an hour. The slinger is fully radio remote operated for quick, precise material application. The slinger gets material placed quickly and safely. We guarantee that we will save you money.